From top: David McCourt with Minister of State for Trade, Employment, Business, EU Digital Single Market and Data Protection Pat Breen; Fianna Fail leader Mícheál Martin and Taoiseach Leo Varadkar. 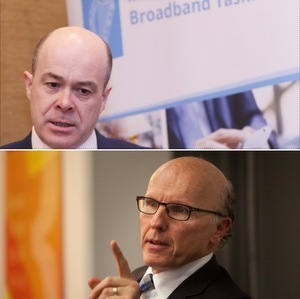 Further to the resignation of former Communications Minister Denis Naughten last week after it emerged he held several meetings with David McCourt of Granahan McCourt Capital – a consortium which is the final bidder in the tendering process for the National Broadband Plan contract, the State’s largest ever communications project. 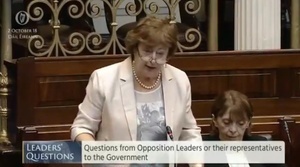 And it emerging that Clare Fine Gael TD Pat Breen facilitated one of these meetings. 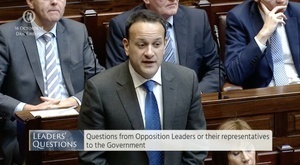 Fianna Fáil leader Mícheál Martin, who mentioned this article published in the Silicon Republic in September 2017, asked Taoiseach Leo Varadkar if he had spoken to Mr Breen about the meeting he facilitated between Mr McCourt and Mr Naughten. 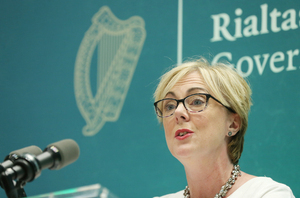 The Taoiseach told Mr Martin that he had spoken with Mr Breen and that Mr Breen told him that Mr McCourt asked him to pass on an invitation to Mr Naughten, for dinner in his house, Mr Naughten accepted the invitation and this dinner took place. 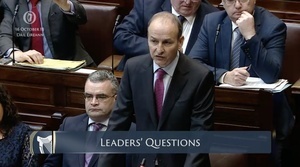 Mr Varadkar said Mr Breen told him the National Broadband Plan wasn’t discussed during this dinner. 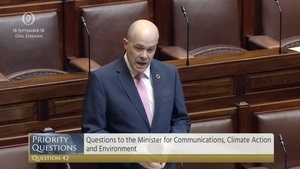 Posted in Misc and tagged Denis Naughten, National Broadband Plan, Pat Breen at 2:27 pm on October 16, 2018 by Bodger. Because that’s the normal way we all invite somebody to dinner in our house…… through a third party. It’s funny how Denis O’Brien’s name has been mentioned very little throughout this whole saga. 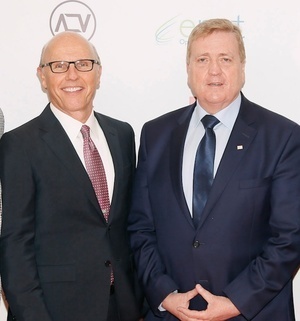 His company is part of the consortium been represented. It’s funny the name of a certain tax exiled billionaire has been mentioned very little throughout this whole saga. His company is after all part of the consortium been represented. notice how McCourt always has one hand behind the puppets.